This is a round flange Conklin’s Pen porcelain sign. This particular Conklin’s Pen sign is black, red, and white and features a hand holding a pen. 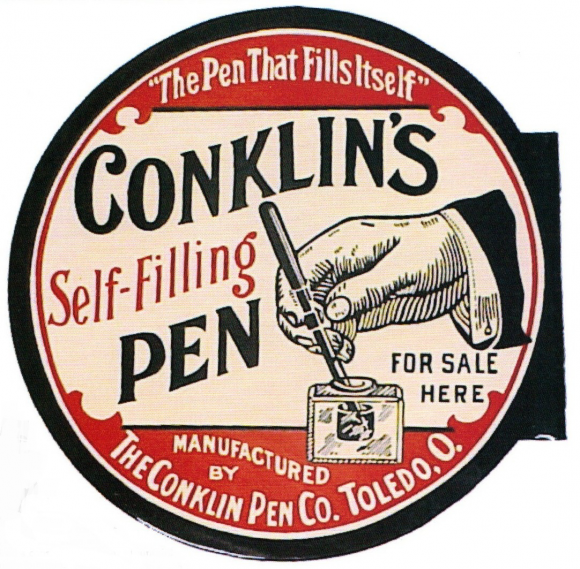 It reads, “Conklin’s Self-Filling Pen For Sale Here, The Pen That Fills Itself, Manufactured By The Conklin Pen Co., Toledo, O.”.